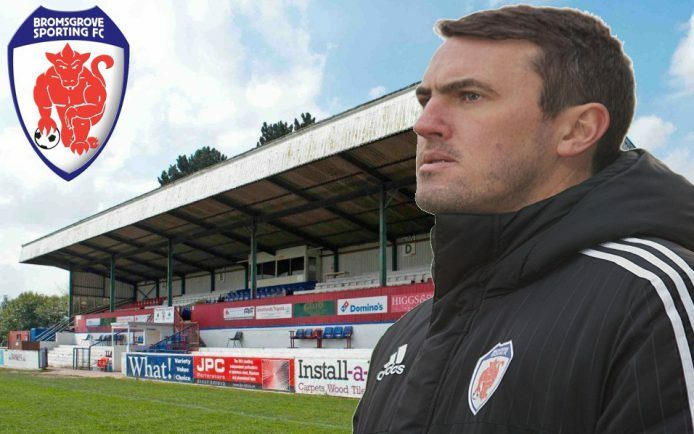 PAUL SMITH is calling on his Bromsgrove Sporting players to stand out in their opening two pre-season friendlies if they wish to be considered for his first team ahead of the 2016/17 Midland League Division One campaign. Since the end of the 2015/16 season, the Rouslers boss has had a busy summer building a squad which will be once again vying for the Division One title. As the transfer window is now officially open, Sporting have signed on their first 13 players which include new signings Chris Lloyd, Tony Clarke, Joe Haines, Dayle Kenny, Robbie Bunn and Ryan Spink. With a number of players vying for the final squad places, Smith has urged his players to shine in their games against FC Stratford (Saturday) and Droitwich Spa (July 13). “As I’m in the process of whittling down the players to form my first team, I’ve urged them all to stand out in the first two pre-season friendlies which I’m using as trials,” he said. “However, I’ve explained to all the players it’s not just about beating six players and then scoring a worldie. “I need to see work rate, I need to see work ethic and I need to see some good communication between the players. With Chris Conway, Marco Adaggio, Keenan Meakin-Richards and Daniel Ludlow training with the Rouslers, and a number of last season’s squad yet to sign on, Sporting have an abundance of talent in their ranks. 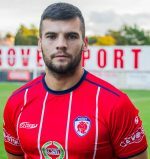 After missing out on promotion to Coventry United last season, Smith believes the squad he has built for this season has the potential to do great things. “Once I’ve got the full squad sorted then it’s just a case of making things click,” he added. “There’s still four spaces up for grabs but it could be a case of having a squad of slightly more than 18 players. “The squad is definitely better than the last but that’s the remit of a manager, it’s my job to make it better. “We were very, very close last year but lack of goalscorers cost us but the likes of Clarke and Lloyd will provide us with those goals. “We lost Reece Hewitt and Liam Spink but we’ve got Kenny and Bunn – who I have been very impressed with – to fill in those gaps.